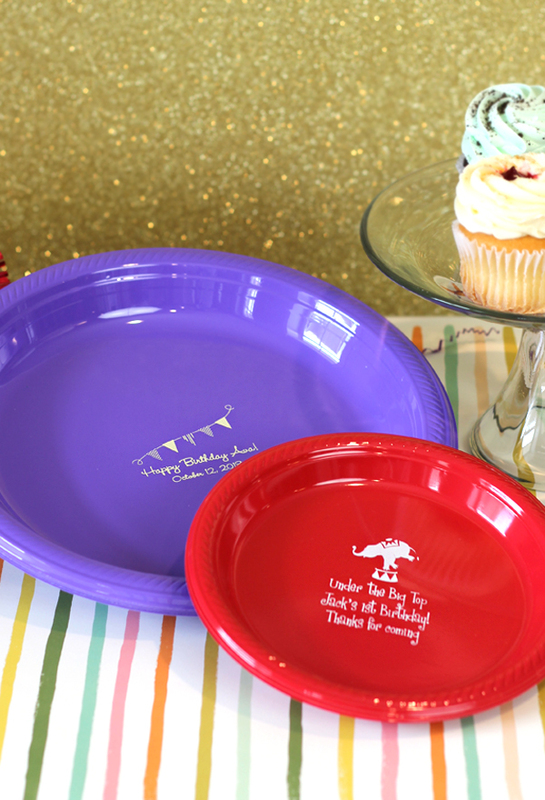 Custom printed plastic birthday party plates are available in 22 color options to match your party theme and are personalized with a birthday design and three lines of text. Choose from assorted plate and imprint color options. All plates are made from thick plastic that won't fold under pressure and are printed with FDA approved food-safe ink. Customer service is wonderful! Exactly what was ordered, no issues. plates and they were exactly what I wanted. High quality and attractive and arrived in a rush order just when they were promised. I was given excellent personal customer service.